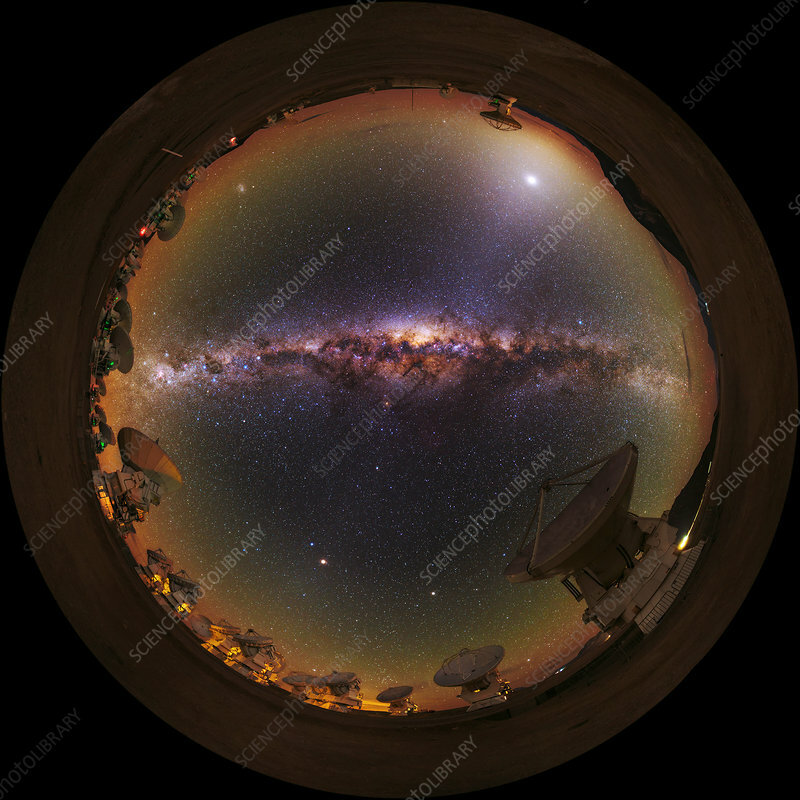 Fisheye view of the Milky Way, Venus and the ALMA radio telescopes in Chile. Zodiacal light is visible near Venus (upper right). Zodiacal light is sunlight reflected from dust particles orbiting in the plane of the solar system. Mars shines brightly on the lower left. ALMA (Atacama Large Millimetre/sub-millimetre Array) is an array of 66 radio antennae located at an elevation of 5000 metres on the arid Chajnantor plateau in the Chilean Andes. Data from the separate antennae are combined by interferometry, making it one of the most powerful telescopes in the world.